Private Charter – Enquire for a price. 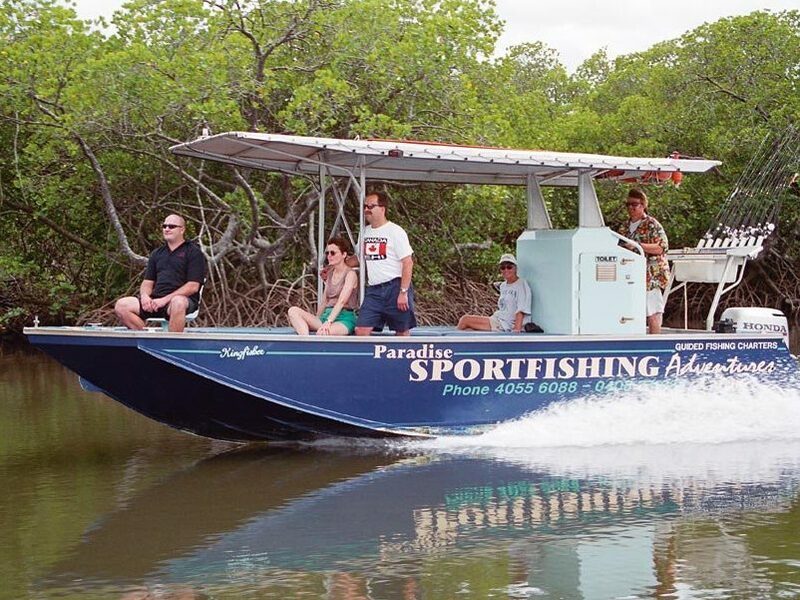 A charter with Paradise Sportfishing Adventures starts by catching live bait with a cast net along the edge of a tributary of Trinity Inlet Estuary (Estuary fishing is similar to river fishing in some countries). 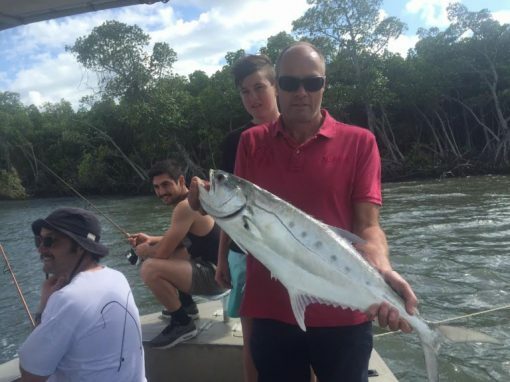 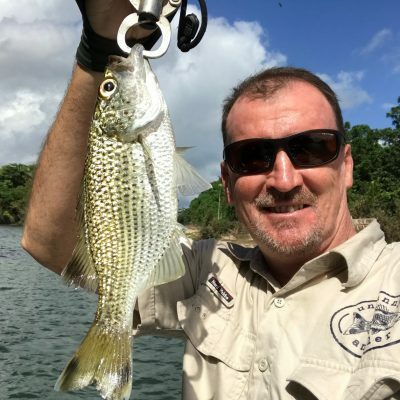 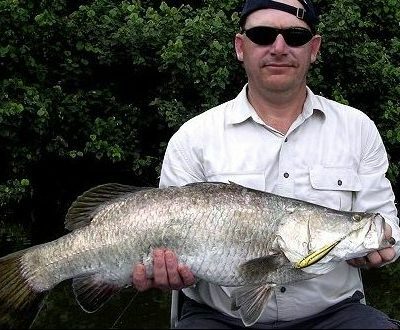 Live herrings and mullet are the best bait for catching predator species, mullet are great for Barramindi fishing Cairns inlet. If the tide is low enough you may see a crocodile basking in the sun along the banks of the Estuary. 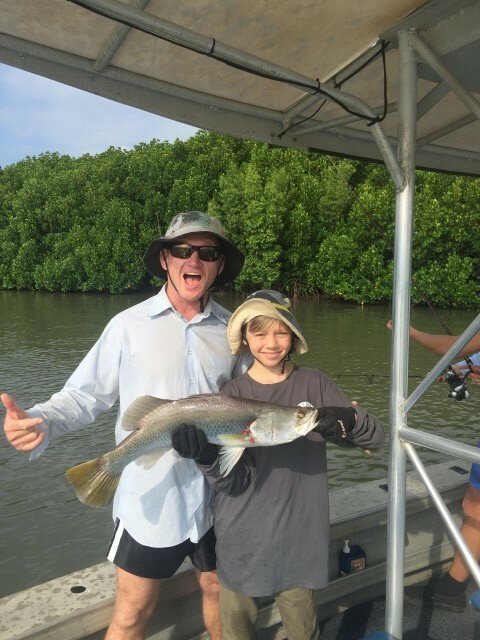 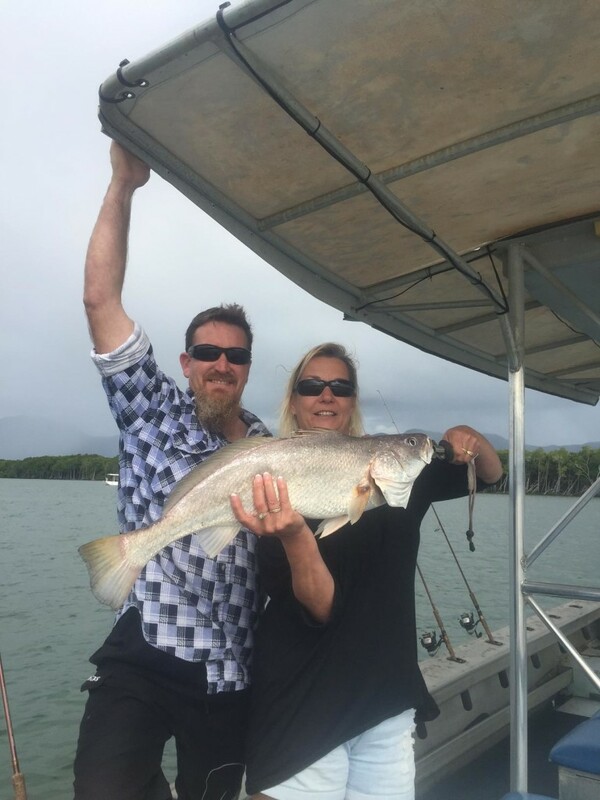 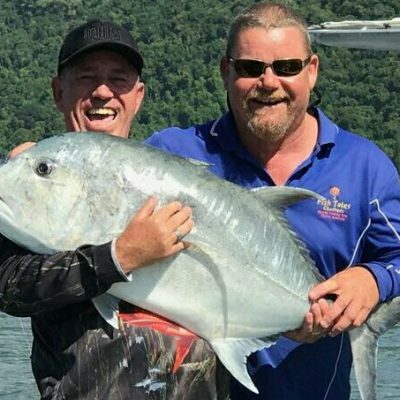 Unlike deep sea and reef fishing at the Great Barrier Reef off Cairns, a day fishing Cairns Trinity Inlet is so close to the city. 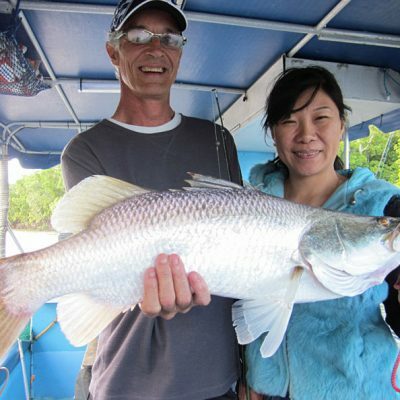 This means you will be baiting up very soon after boarding the vessel and will enjoy longer fishing times.